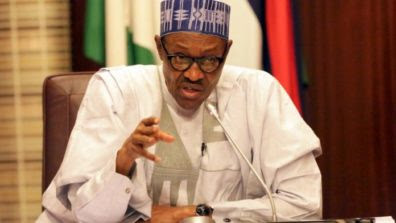 President Muhammadu Buhari is currently holding a closed-door meeting with six governors in his office at the presidential villa, Abuja. The governors include, Atiku Bagudu of Kebbi, Udom Emmanuel of Akwa Ibom, and Aminu Masari of Katsina states. Others are Governors David Umahi of Ebonyi, Simon Lalong, Plateau and chairman of the Nigeria Governors Forum, Abdulaziz Yari of Zamfara state. The meeting is taking place immediately after Mr. Buhari received security briefing from service chiefs and heads other of security agencies.